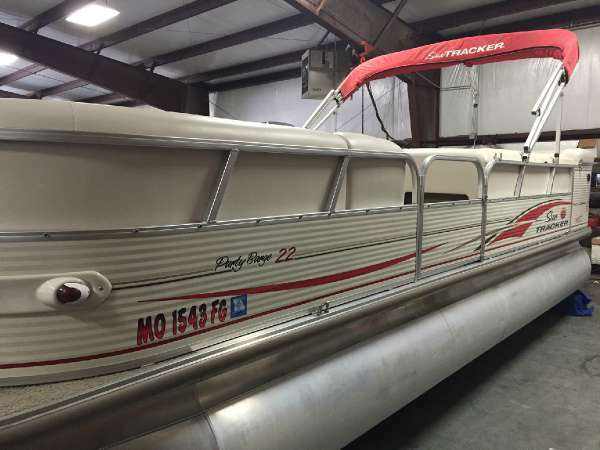 2008 Sun Tracker PARTY BARGE 22 Regency Edition Our elegant SUN TRACKER PARTY BARGE 22 Regency Edition is luxuriously appointed with upscale features that include an extra-wide padded sundeck with pop-up changing room and bench, plush lounge seating with concealed storage, Sirius-capable AM/FM/CD with integrated MP3 jack, aft entry platform with oversized boarding ladder, removable table with two mounting locations, color-matched 11' Bimini top and dual trash receptacles. 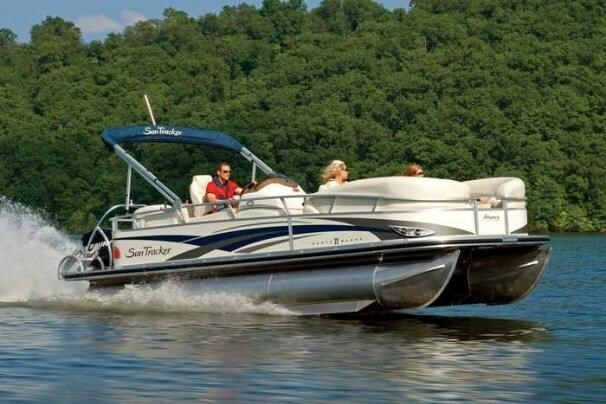 There's a deluxe helm seat with flip-up bolster, custom console with instrumentation, depth finder, quiet ¾" pressure-treated extra-wide 102" deck, 26" diameter multichambered pontoons for the smoothest ride in its size range and NV Performance Pontoons. Optional trailer. Mercury outboard power. 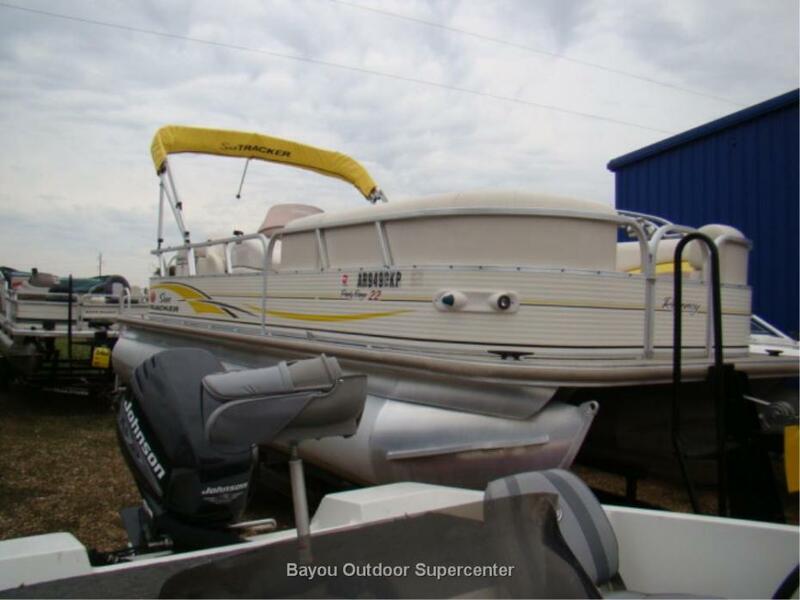 2006 Sun Tracker PARTY BARGE 22 Regency Edition 2006 22' Sun Tracker Recency, powered by a MerCruiser 3.0 Alpha drive so ti will be very quiet and provide plenty of power. 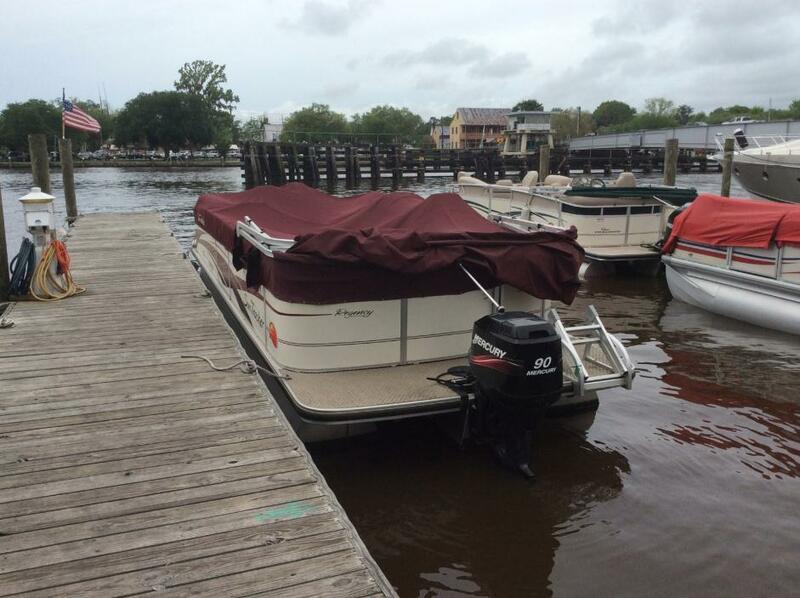 This boat's construction includes a Aluminum deck and should be maintenance free for many years to come. Judging from the condition of the interior it reflects the fact that the mooring cover has always been used as there is very little wear and tear and has only minor seam rip. 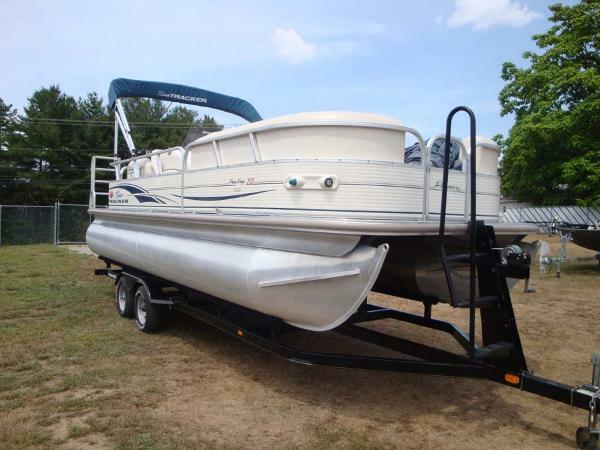 Other features include a privacy station, CD player, 2 tables and a custom tandem axle trailer. Many years left in this boat! 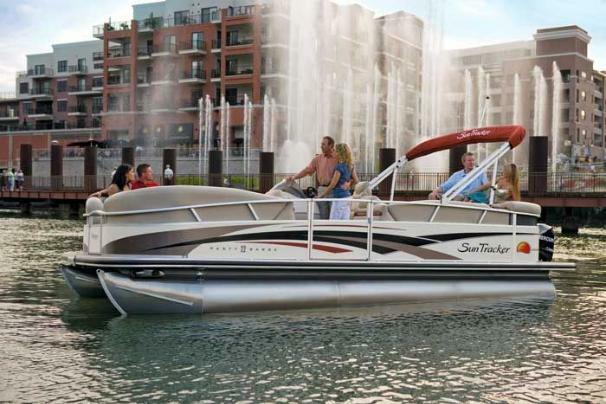 2009 Sun Tracker PARTY BARGE 22 Regency Edition Our elegant SUN TRACKER PARTY BARGE 22 Regency Edition is luxuriously appointed with upscale features that include an extra-wide padded sundeck with pop-up changing room and bench, plush lounge seating with concealed storage, Sirius-capable AM/FM/CD with integrated MP3 jack, aft entry platform with oversized boarding ladder, removable table with two mounting locations, color-matched 11' Bimini top and dual trash receptacles. 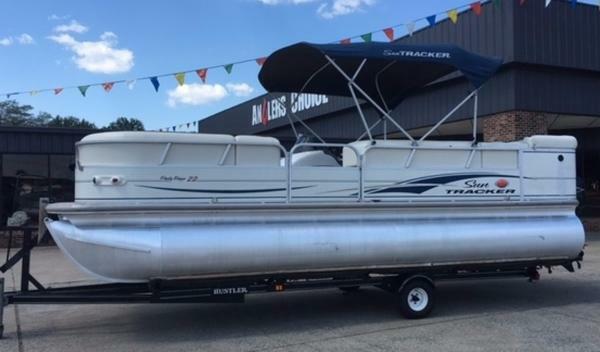 There's a deluxe helm seat with flip-up bolster, custom console with instrumentation, depth finder, quiet " pressure-treated extra-wide 102" deck, 26" diameter multichambered pontoons for the smoothest ride in its size range and NV Performance Pontoons. Optional trailer. Mercury outboard power.